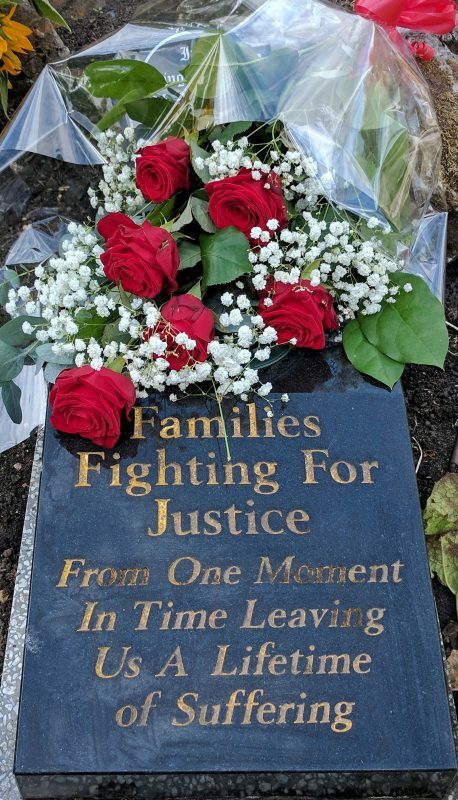 Families Fighting for Justice are going to be attending this memorial plaque every year from now on. Next year we will congregate at Anson Street and will be led down London Road to the sound of bagpipes that will take us into St Georges Gardens, this can be a gathering in the memory of all our children. Our loved ones whose lives were taken so needlessly, we may have a lifetime of suffering but we will never become victims ourselves, we are strong and together we are stronger.